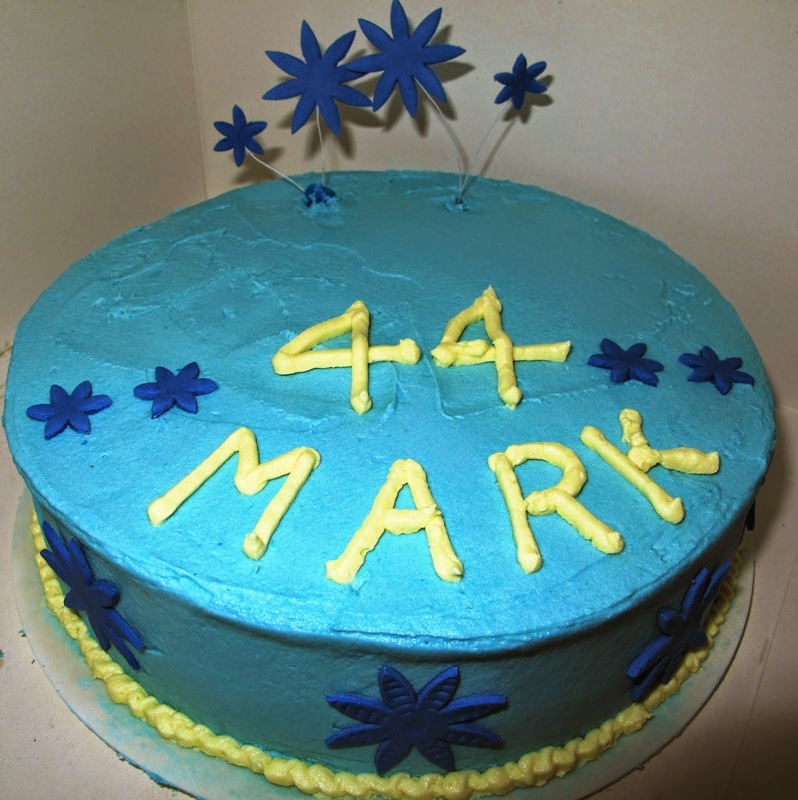 It's difficult to get a professional looking finish to a cake with buttercream frosting. Here I have used baby blue food paste for the blue buttercream and then have used melon food paste for the yellow. I crumb coated the cake first with normal coloured buttercream to make sure no crumbs got into the blue buttercream. The blue flowers are made from bluebell Squires flower paste and indented using a sculpting tool to add a little dimension. As a beginner in cake decorating this cake (including making the vanilla sponge, slicing, filling and decorating took me little over 3 hours. Sometimes I doubt if the effort is worth it though - I mean, after all of those hours it will take seconds to be eaten! The diametre of this cake is 7" and will serve 10 greedy people.